Is it possible to get full XP in high difficulty, or else can we cancel the doubling and trippling of neutral monsters? You mean xp gained from Neutrals? I believe those are hardcoded. Only thing I could find in the creature table file was their initial xp value, so I guess difficulty levels are coded with xp. 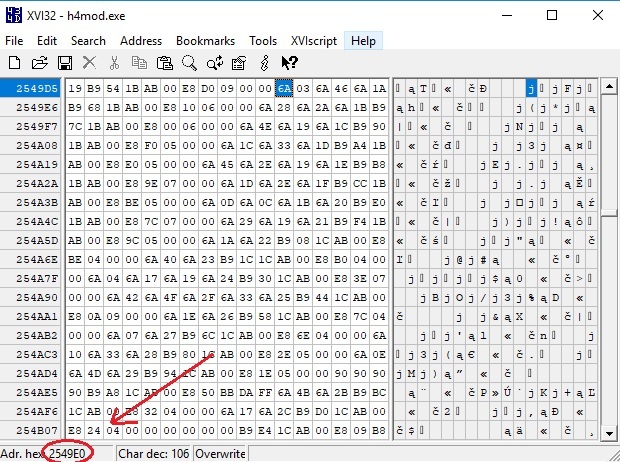 Find this address in the exe and replace that 03 with any other ability's hex code. Big Thanks radmutant69 i see you have great knowledge about modding in H4. To bad that the manual here to hard to understand. I'm currently trying to mod spells in Heroes 4 WOW (not Equilibris) but having a problem, which I think someone here might help me with. Basically, I've made a bunch of non-teachable spells teachable and most of them work fine with the exception of Binding (mantises' ability), Stun (squires' ability) and Stone Gaze (medusas' ability). I made those three spells teachable and added them to a hero's spellbook but whenever I try to use them in combat, the game says "This spell cannot be used in combat", even though I made sure to define those spells as usable in combat in table.spells.txt. Does anyone know whether it's possible to make those three spells usable in combat? Edited by radmutant69 at 10:00, 10 Jul 2018. I tried to do this but I cannot find any way to use them in combat. At least via editing the spell table. I think it would require some exe editing to make the player being able to cast these spells on his units (as Fire Aura works). But I cannot do this. Perhaps kkfkkkfk could give a more accurate answer as I saw him posting something about spells in the exe (?) some time ago. Edited by CactusBack at 13:15, 10 Jul 2018. Damn, I suspected it was the case. Thanks for the reply anyway! Edited by NimoStar at 00:38, 11 Jul 2018. Yes, I found the same roadblock in plenty of spells. Still, I was able to make many other ones work. Anyways, take into account there are some liabilities with some spells. Edited by NimoStar at 07:36, 23 Sep 2018. I have realized a limitation we did now know before about changing spells. When you change spells, the "initial spells" of a given discipline stay the same. I call "Initial spells" to the spells heroes auto-learn when they get the skill. For example, Bloodlust could be learnt when your hero acquires Chaos Magic. , while it will work with Nature Magic, you will still "get" the spell when you learn Chaos Magic. This is a minor "bug". Edited by TheUnknown at 09:16, 23 Sep 2018. I believe this is one of the reasons equilibris couldn't add smoke spell to automatically be learned when you took chaos magic. Also note that one of the nature spells cannot be learned by picking the nature skill, I think it was pathfinding. You also might want to check the basic skill codes coupled with the needed spell code ... if pathfinding is missing from a list where other level 1 nature spells are listed, that should be the place. Just be sure to double check as pathfinding is also the only adventure spell from level 1 nature spells, so you wouldn't change it in the wrong place. About this, is it possible for them to use the potion version if they have the potion in the inventory? This would be a great addition to the game, just imagine "Monks used holy water potion on vampires." Edited by radmutant69 at 13:39, 23 Sep 2018. This Monk and Holy Water problem is probably because there is no such spell keyword 'holy water' in the exe. It's in the spell list but unlike other potions it directly points on the keyword of holy water in the artifact string list. So (I think) the monks tried to use the potion what they didn't have, and probably can't even use since they are creatures, and this caused the crash. At least some other potions I examined eg. kreegan fire have a separated keyword in both string lists, and I think it means they have their own spell effect that can be used without the potion artifacts while holy water just hasn't. Edited by NimoStar at 05:08, 24 Sep 2018. Oh, I get it. I imagined it had to do with the potion, and I understand what you are saying. But I didn''t expect the error back then because other "artifact spells" did not cause such errors. H4 being inconsistent as always. May use that method to try to see eventually. I know it uses raster fonts, but I think they are in data packs. I have spoken about this before but I don't know where. Actually I have boith Spanish and English version of WOW. For some reason, the Spanish exe is much larger. It would be nice to investigate the difference. This would also mean the SPanish version has much more FREE SPACE to make hex changes, jumps and additions. I know you got a reply already = .h4r/fonts, but using the ResourceHelper or perhaps ResEdit2 you should be able to see and view the folder named Fonts more easily than with the mh4. Edited by NimoStar at 02:35, 25 Sep 2018. Edited by vulcancolak at 15:45, 18 Apr 2019. You can delete this post. Edited by vulcancolak at 15:59, 18 Apr 2019. Here comes my question. I want to change ability of Nightmare and topic says it is the offset of nightmare .654AF0 but what it means? 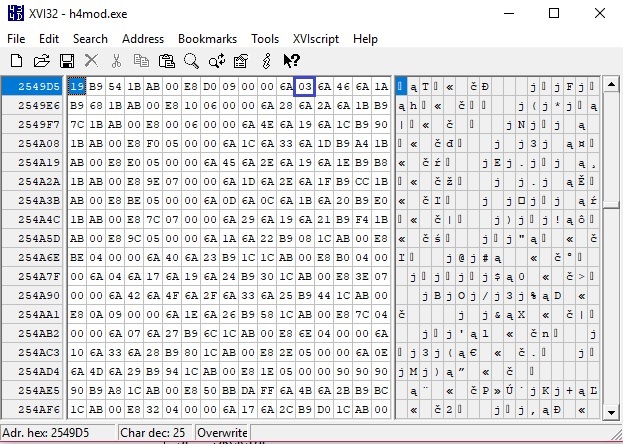 I have opened Heroes4.exe with hex editor but i don't get it actually. Is there any explanation, video, guide about that? What can i do with this number? I am totally confused... How can i find the offset of nightmare? Edit: Ok i have accidently found the offset of nightmare. 4B it is the ability of Terror and i was tought these offsets (2549d5 berserker offset as you said) are creatures offsets and i was just searched for 4B and i have changed the 4B with different ability and it worked. Nightmare not have different ability. But how you know the Berserker offset? How we can find offsets? By the way still i can see spellbook of the nightmare even i have removed terror. Go check your gmail, lol Sorry I've been absent for a bit! Well it is easy since someone already posted the offset. Like, the berserker's offset is .6549E0. 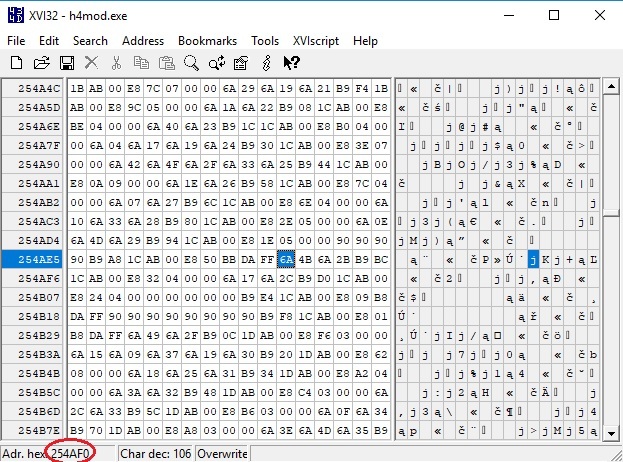 That is the offset when you open the exe in a disassembler or something. the Nightmare's code starts on the 254AF0 in the exe. The same thing you have to do with any offsets you can find here. BTW you can't take away spells from the spellcaster creatures because we don't know where is their spellbooks stored. Again, in the Equilibris they managed to edit the Ogre Mage's spellbook thus someone have to know where it is. But this info was probably never shared. Sadly. Edited by Karmakeld at 09:12, 19 Apr 2019. As far as I know, if the Equilibris team shared anything, they only did so within their own team, and even that sometimes seems to not have been the case. Best option - as it has been suggested earlier - would be to compare the original WoW exe with the Equilibris exe and find the "additional/changed parts". Searching for the known changes would prob. be the best lead.